In a report published today by the Higher Education Policy Institute (HEPI), Middlesex University’s Vice-Chancellor, Professor Tim Blackman, is calling on politicians and policy-makers to stop proposing elitist solutions to fix a classist higher education system, and instead extend the successful secondary comprehensive model to universities. 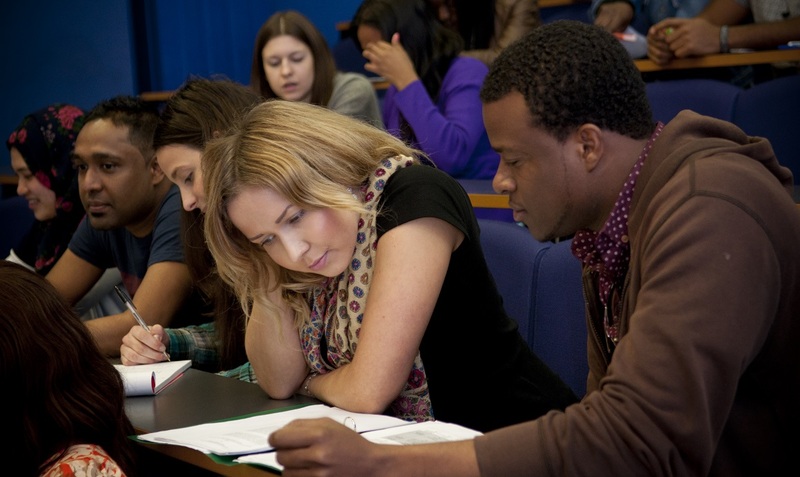 In The Comprehensive University: An alternative to social stratification by academic selection(Occasional Paper 17), Professor Blackman argues that after 20 years of the same, largely failed policies that have focused only on a very few bright disadvantaged students accessing elite higher education institutions, now is the time to change direction if we are to reverse what is becoming an increasingly divided society. Professor Blackman believes now is the time for change in higher education. “The UK’s higher education system is said to be one of the best in the world, but it is failing to make the contributions to tackling social inequality and poor economic productivity that our universities could make if regulated in a different way,” he says. “The root of these problems is academic selection, which has created a sector based on social class advantages rather than recruitment and teaching practices that equalise opportunities. Professor Blackman believes a comprehensive-style approach would be more effective. “Mixing students of different backgrounds and abilities and teaching them together would force more universities to develop their teaching expertise, but there are many added benefits. In a foreword to the report, Matthew Taylor (a former head of the Number 10 Policy Unit and author of the recent report Good work: the Taylor review of modern working practices), praises Professor Blackman’s thinking. “Tim Blackman’s case for comprehensive universities is radical and will no doubt ruffle feathers but it is also based on strong argument and powerful research,” he said. “I was particularly struck by the evidence he presents on the efficacy of mixed ability teaching in American higher education, evidence which reinforces similar findings in schools. Nick Hillman, Director of HEPI, agrees that the system needs a fresh perspective. “This is one of the most thought-provoking papers ever published on UK higher education. It exposes how, as a country, we have embraced comprehensive principles for schooling but rejected them for higher education.